Do You Have a "Mount Everest" to Climb? Discover the seven most effective strategies and powerful hacks for reaching goals based on latest psychology and behavioural science. 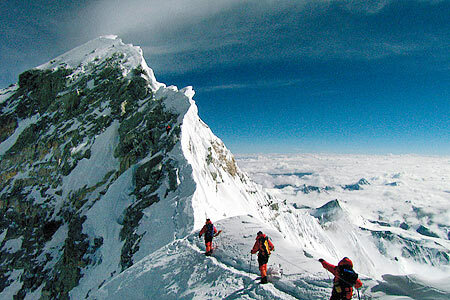 Learn how to apply them to conquer your "Mount Everest" with a powerful goal achieving system. 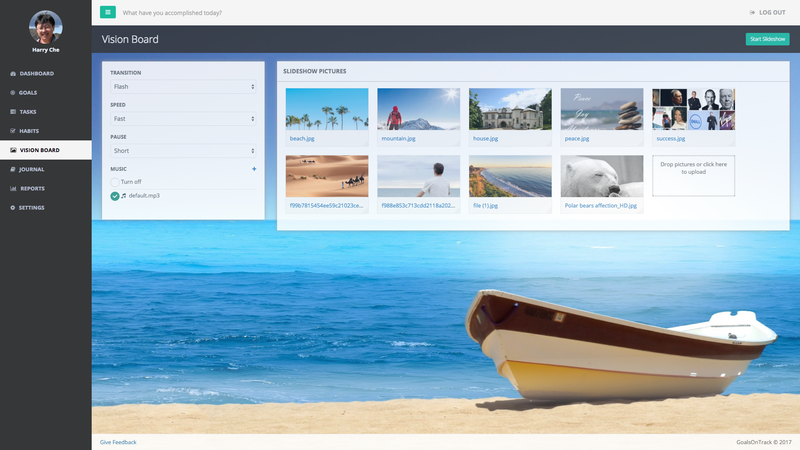 What will You Discover on This Page? How to boost your goal achieving skills in 30 days, or less! 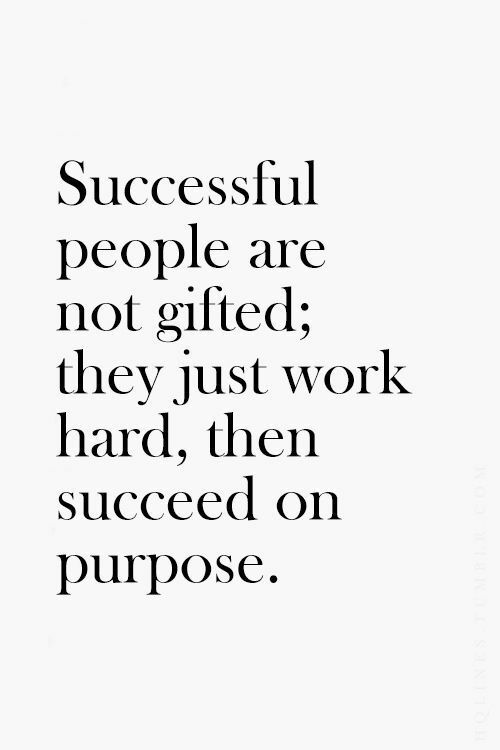 The research is clear: People who set goals are more successful. We are humans and we can think in future terms. Animals don't set goals, because they can't. We can certainly choose to not set goals, but then we would be wasting a true gift given only to us humans. If you ever dream about a better future and want to achieve success, here are some great reasons why you want to set goals. We can live our life either by design, or by chance. As famous success philosopher Jim Rohn put it, "If you don't design your own life, chances are you'll fall into someone else’s plan. And guess what they planned for you? Not much." People living with no goals rarely have any purposes. Without purposes, what’s the point of living? No matter how long you live, you only have limited time in this world. By setting goals and deciding what’s important and what isn’t, you can focus your life on things that are truly valuable. You will make the most out of your time and have the best chance at living a full life. Strong goal setting and action taking skills are one of the few key secrets shared among all high achievers, such as Bill Gates, Steve Jobs, Winfrey Oprah, J.K. Rowling and many others. Not everyone will be successful by just setting a goal, but without goals, no one can achieve great success in anything. If you don’t believe in setting goals, then you probably have done it in the wrong way. Here are a few common mistakes people tend to make in goal setting and how avoiding these mistakes you will realize the true power of goal setting in making dramatic changes in your life. 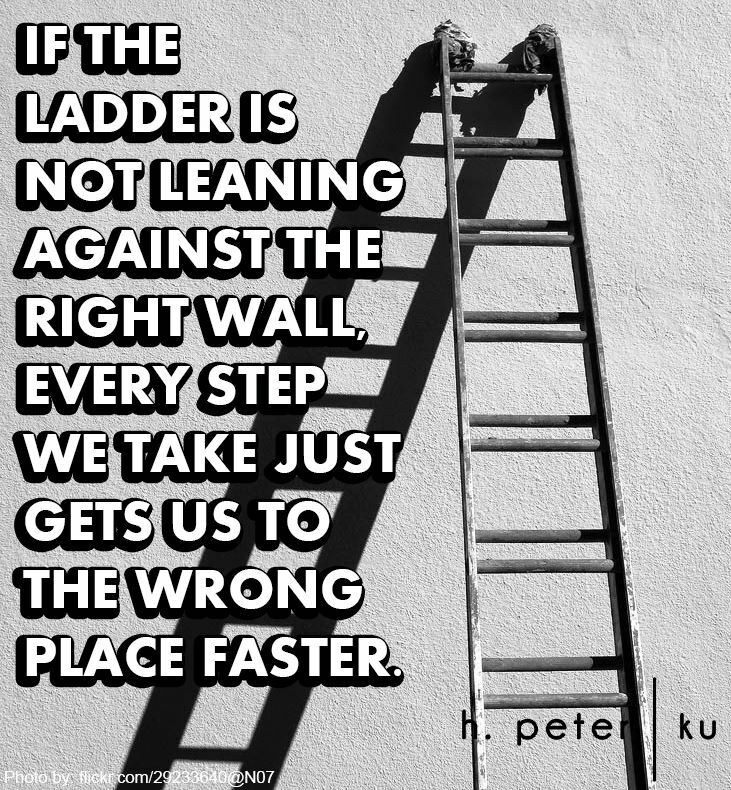 Set the wrong goals – We fail more in setting the wrong goals than reaching the right ones. Many of our goals are un-SMART, meaning they are not specific, not measurable, unachievable, unrealistic or not time-bound. 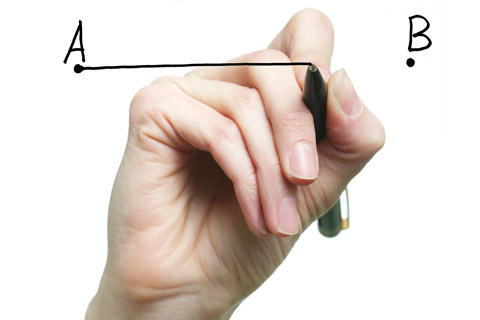 Our goals may not be compelling enough, un-motivating or too beyond our control. It’s not goal setting that we should give up on, but rather the wrong ways we set goals. Poor planning, vague and non-actionable or no plans at all – Setting a goal isn’t very hard, but what’s hard is coming up with plans that work. 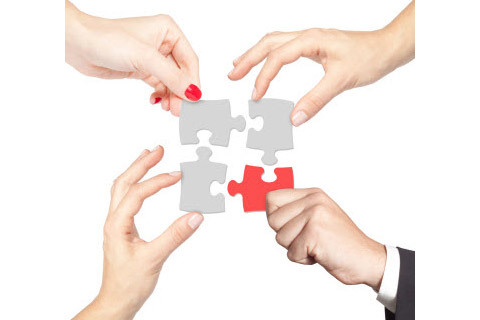 Oftentimes we adopt plans that might work for others but not necessarily for us. Because everyone is different so we need to create plans that suit us and reach goals in our own way. Lack of follow-up and can’t stick – Most of our failings can be attributed to lack of consistent and persistent action taken for as long as it is required. The bigger the goal, the higher the demand will be for consistency and perseverance. We often underestimate obstacles and efforts required, but overestimate our willpower and motivation to follow through. It's not easy to avoid making these mistakes, but that doesn’t mean there is nothing we can do to increase our chances. Every mistake or failure has a hidden solution and once we recover and apply it, we will be able to achieve any goal we want. Next you will learn the seven scientifically researched and proven strategies that you can use to not only avoid making the most common mistakes in achieving goals, but also discover new ways and build your personal power to realize your dreams. According to a study done by Dr. Gail Matthews, a psychology professor at Dominican University in California, you are 42% more likely to achieve your goals just by writing them down. Or interpret it this way: if you set two goals that you often failed in the past, start writing them down this time. With everything else being equal, same amount of effort, motivation, discipline, etc., you will most likely achieve at least one of the two. To make it work even better, write it down repeatedly. A study in the British Journal of Health Psychology found that 91% of people who planned their intention to exercise by writing down when and where they would exercise each week ended up following through, while only 35% achieved the same result relying on just motivation. Many similar studies have come to the same conclusion: if we clearly state when and where we are going to take the action, we are much more likely to stick to our goal. According to a study published on Harvard Business Review, the most significant factor that influences our motivation to reach goals is a sense of seeing the progress. If you look back on any accomplished goal, except for external factors, your achievement is simply the sum of total time you spent and action you took toward reaching that goal. Track your time and your action would be the same as tracking your progress, even though you may not feel you are making real progress. This simple shift in mindset will help you stick to the process and persevere until your goal is accomplished. In Dr. Gail Matthews’ study, people who have a supportive partner to report progress and hold them accountable score the highest on the overall goal achievement chart. No matter what goals you want to achieve, having an accountability partner or joining in an accountability group or program can help you accelerate your performance, keep you engaged and responsible for your actions, and provide you with valuable feedback and constructive advice. Citing many scientific studies, the popular book The Power of Habits teaches us how habits form our behavior and achieve success both in life and business. When we turn our goals into habits, we put our accomplishment on autopilot. Once the habits are firmly established, we don’t really have to focus on them much. Whatever goal that has transformed into habits will simply achieve itself on its own. How wonderful is that! You are more likely to achieve worthwhile goals if you have good habits. Illustrating this, a 2007 study suggested that we're not motivated by goals alone. In fact, once we've decided upon a goal, we're more motivated – on a day-by-day basis – by the habits that we have set up to reach it, than by the goal itself. 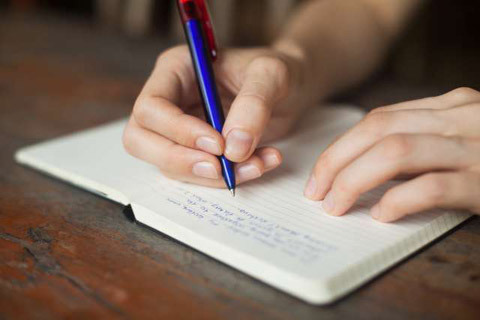 A study published in the journal Psychological Science showed that women who wrote about their values in a journal every night lost on average 3.4 pounds in four months while women who didn’t journal gained weight. Keeping a journal for your goals not only helps you reach them, but also provides many benefits such as reducing stress, solving problems, gaining insights and even increasing memory and happiness. According to research in brain patterns, visualization helps with your goal attainment. It works because neurons in your brains interpret imagery as equivalent to a real-life action, and then primes your body to act in a way consistent to what you want to achieve. By imagining the detailed mental picture of your desired outcome, and visualize each of the action steps necessary to reach that outcome, your brain will help you make positive and behavioral change that is needed to accomplish your goals. Wouldn't it be great if there is a system that integrates all of these proven goal strategies in a holistic approach you can use to achieve your goals? 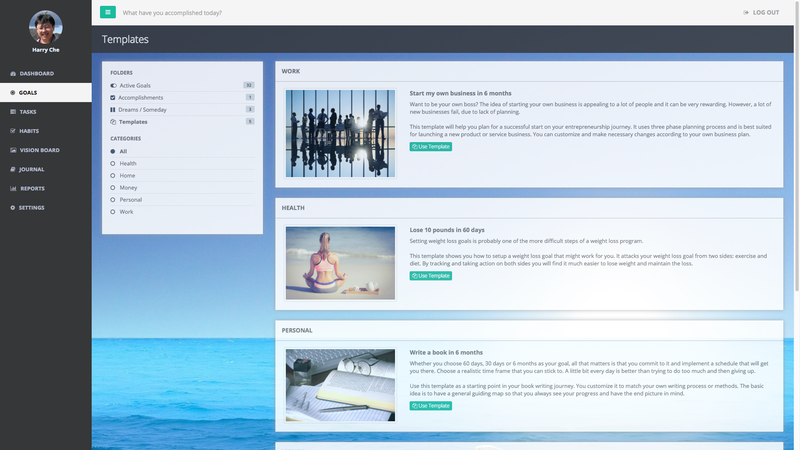 GoalsonTrack is a full featured visual goal setting and goal achieving software program that integrates some of the best practices in psychological and behavioral sciences of goal setting and personal development. It can significantly increase your chance of achieving both personal and professional goals. It helps you set the right goals from the start, build action plans, stick to the process, form positive habits, do visualization and keep goal journal, all in a holistic and effective approach to reaching your goals. GoalsOnTrack is designed to guide you to write down your goals in a SMART way so that you'll much more likely succeed in reaching them. Simply follow the goal creation form instructions to ensure your goals are Specific, Measurable, Attainable, Realistic and Timely. The secret of getting ahead is getting started. 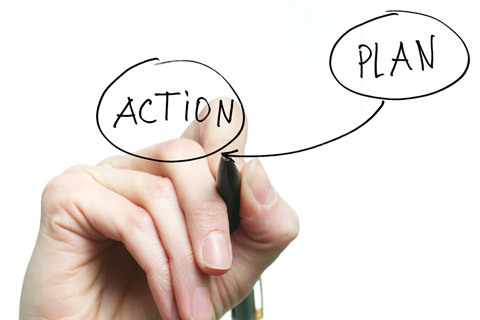 The secret of getting started is to create a concrete action plan by breaking down your long term, complex, and overwhelming goals into small and manageable chunks. 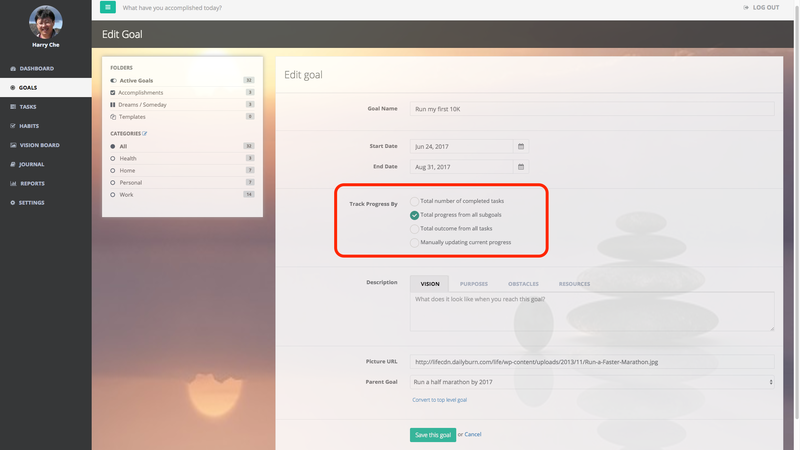 Use the software’s sub goal feature to chunk it down and stop procrastination. Seeing immediate progress on whatever you do is the most powerful source of motivation. That's why certain games are so addictive. 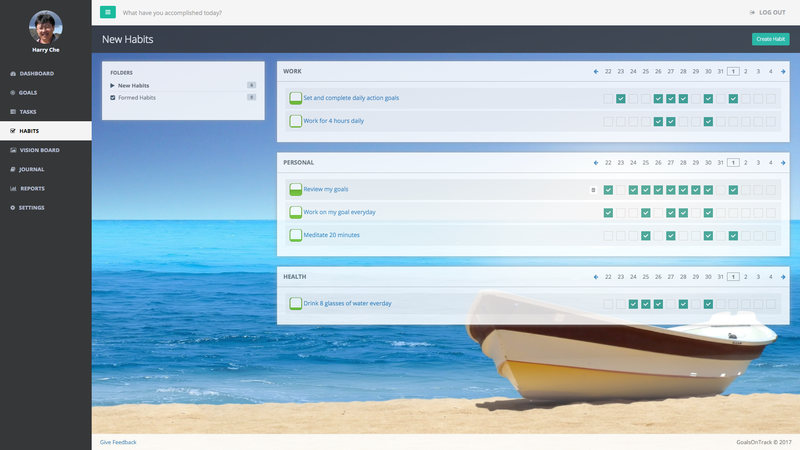 Real time progress tracking feature allows you to view instant progress on your goals whenever you complete a task. 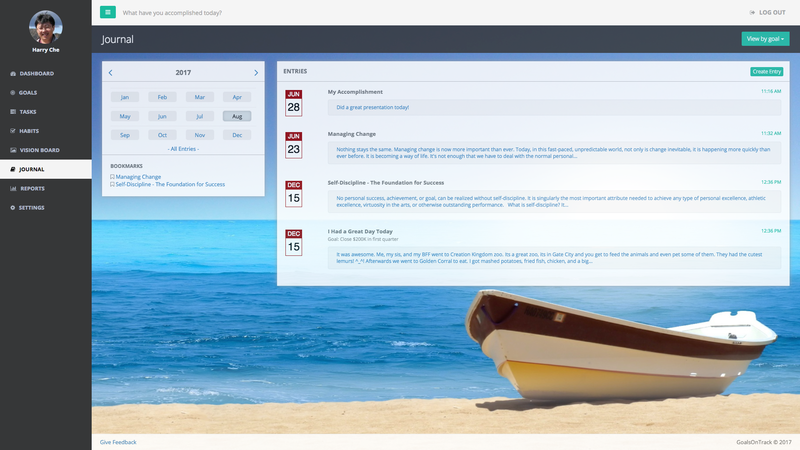 You will be able to easily track your time and the action completed for your goal. Not sure where to start on your next big goal? 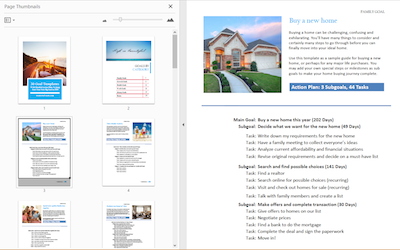 Adopt the built-in goal templates with detailed action plan of sub goals and tasks and even habits to help you jump start your own goal. 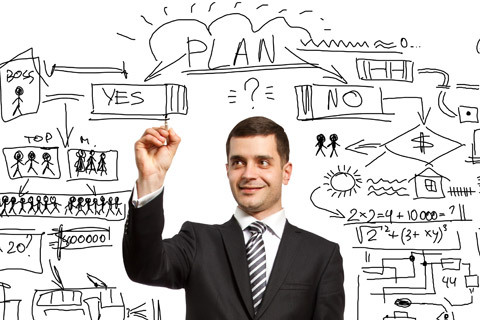 Create goals from ready made templates that automatically generate your own action plan. Or save your own goal as template to reuse later. Visualization works because it taps into the huge power of subconscious mind to make your goals happen. Make vision board tool a part of your daily routine to visualize both your goal target outcome and the concrete steps you need to take to get there. Nothing can help you reach goals quicker than a right set of great habits. 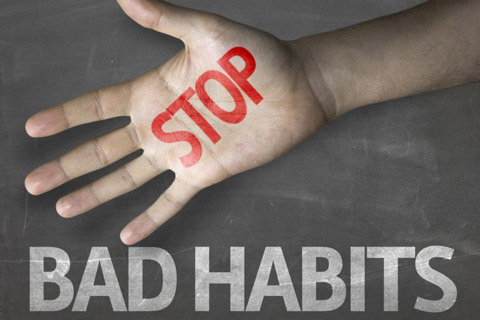 Start a new habit today with this habits builder and put your success on autopilot. 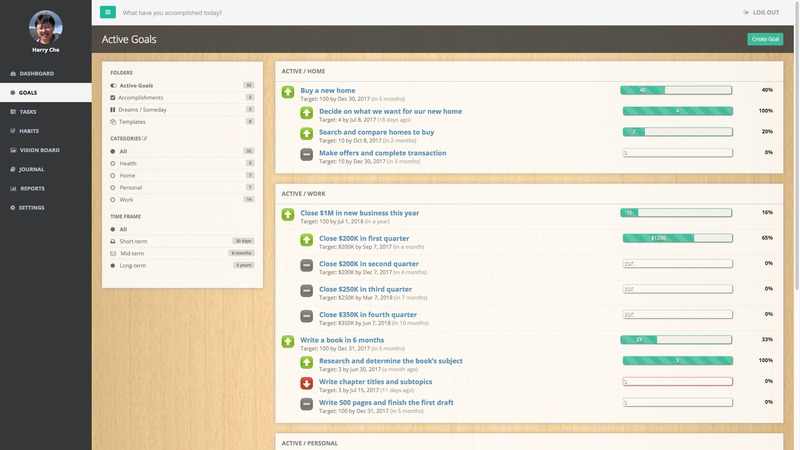 Tracking your habits now is as simple as placing checkmarks on habit calendar tool. The software remembers when and how many check-marks you placed, and automatically predicts your habit strength. Use the goal journal tool to write down what you did for your goals, how you did it, and the lessons learned. Not only will you have a written record of your success journey, you will also gain valuable insights and increase your personal growth. 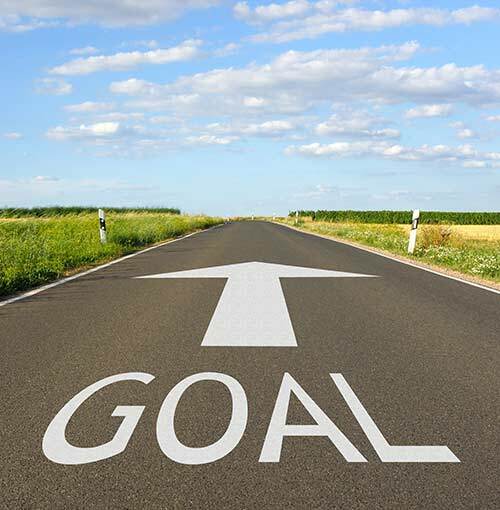 We truly believe that GoalsOnTrack software can really help you reach your goals. Feel free to sign up and give it a try. We offer an unconditional 30-day money back guarantee. The reason we require payment upon signing up is to make sure all registered users are genuine and fully committed to testing out the software. After trying it out within 30 days, if you're not completely satisfied or for whatever reason want to cancel, just send us your cancellation request via email or from within your account. A refund will be issued and you will be notified within 48 hours. We are a proud member of Better Business Bureau (BBB). We stand firmly behind our products and services, and guarantee customer satisfaction or we will refund your money. We are in business for helping people and doing good. We have never refused a single valid refund request, and will never do so in the future. 30-day unconditional money back guarantee. Instant account activation. Q: What do I get after I sign up? Q: I just signed up but still no login? Please wait about 5 to 10 minutes for the welcome email to arrive in your in-box. Also double check your junk/spam folder just in case. If you use Gmail, check other tabs in your in-box. If you signed up via PayPal, please make sure to check your PayPal email address where the login has been delivered to. Q: I need help in learning the system? Q: Are my credit / debit card details secure? Yes. All purchases are processed through our payment processor and are 100% secure. 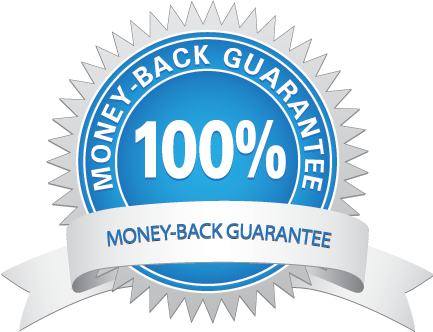 We offer a full 30-day money-back guarantee. If you sign up today and don’t agree that it’s worth every penny, we'll promptly refund your money. No questions asked. No hassle. Just send us a request in the contact us form at the bottom of every page, or cancel it from within your account. We'll promptly refund your money if it’s within 30 days of your purchase date. Please send us your question using the message form at the bottom of each page on this web site. Or give us a call at the number listed next to the contact form. If you get a busy line, please do leave a message and your number or email so that we can get back to you. If you have further questions, please check the full FAQ page . Without question, this is the most robust goal-setting program of the bunch. It allows you to record the goal, the purpose (in my terminology, key motivations), start date, end date, metrics, subgoals, habits, and action plans... I particularly like it because it allows you think plan hierarchically, which is how my brain works. 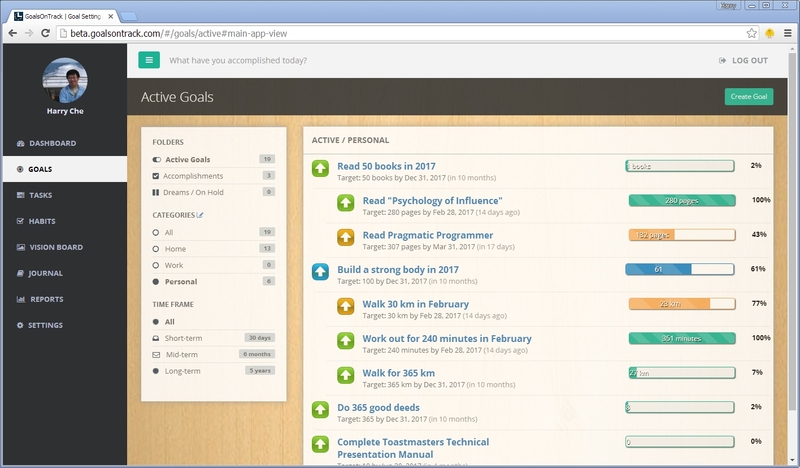 For me, one of the biggest challenges in meeting any goal, whether it be related to productivity, waking early, changing a habit, exercising, or just becoming happier, is finding the motivation to stick with it.GoalsOnTrack allows me to monitor and track my goals related performance.This helps to keep me motivated and focused! Goals On Track is brilliant with its ability to be flexible. It is so simple and easy to re-order goals, change dates on tasks, put goals on the 'back burner' and edit tasks. The program is very simple to use and when something crops up in life, like the flu, you don't have to delete everything and start again with your planning. It is simply genius. Your program is something I've been searching for for some time. 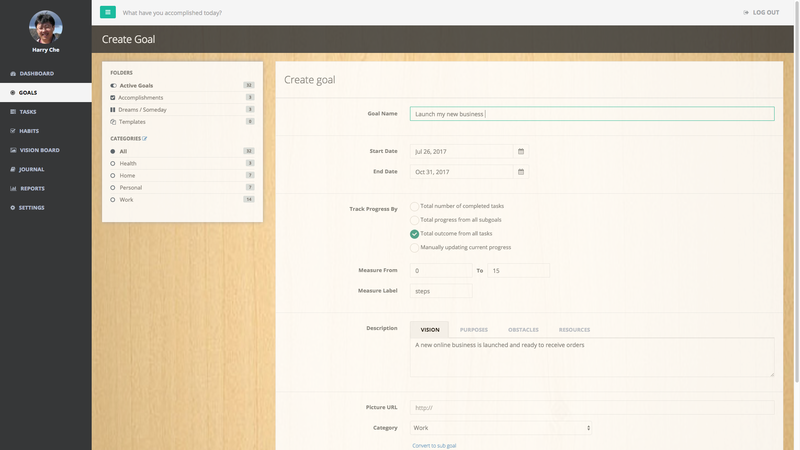 I tried to use planhq to track and monitor my goals, but it is designed purely for business and does not track or measure personal goals. I bought your program to test and immediately knew that it would be with me for a long time. Although I am extremely focused I never really found anything that could map the plan of my brain like this program. Although I love the goals page by far the most valuable to me is the habits function. To be able to track and monitor my yoga and exercise plans, for example, is really valuable and with a busy multidimensional life seeing clients, writing books, and keeping track of an international business, this program by far outweighs my expectations. It is such a great support for the new book I am writing. I start my new group of clients in a couple of weeks and I will be recommending the program to support their transformation process. Sign Up Today to Get These Bonus eBooks for Free! "How to Avoid Tension and Achieve Peace in Life" is a book for everybody right from school going students to elderly people waiting for the last call from God. Through real life examples, Pritis provides advice on how to make life tension-free and peaceful - Self-help is the best help, Be loyal to your work, Have courage and face the consequence, Share your wariness with friends, Adapt to the situation and Environment, Increase Tolerance and Think positive. This book is an honest attempt to reflect on real life happenings to help beloved and unfortunate friends who are in search of happiness. Change Your Thoughts, Change Your Life... "As a Man Thinketh" is a classic in the truest sense: few books have been so widely read, have stood the test of time so well, have had such an impact on generations of readers, and have carried such a simple, profound message: You are what you think. Your thoughts and your dreams determine what you are and what you will be. This little book is meant to stimulate men and women to the discovery and perception of the truth that they themselves are makers of themselves, by virtue of the thoughts which they choose and encourage. The Greatest Showman in the History of the Universe reveals his secrets for accumulating vast sums of wealth so that anyone can follow his program and become rich. After a wonderful career in which he made and lost fortunes, captivated Kings and Queens, and used his genius, wit and eloquence, P.O. Barnum wrote these golden rules for making money. This increase of emotion has not always nervous fatigue as an excuse. Many people have inherited emotional magnifying glasses, and carry them through the world, getting and giving unnecessary pain, and losing more than half of the delight of life in failing to get an unprejudiced view of it. If the tired man or woman would have the good sense to stop for one minute and use the power which is given us all of understanding and appreciating our own perverted states and so move on to better, how easy it would be to recognize that a feeling is exaggerated because of fatigue, and wait until we have gained the power to drop our emotional microscopes and save all the evil results of allowing nervous excitement to control us. 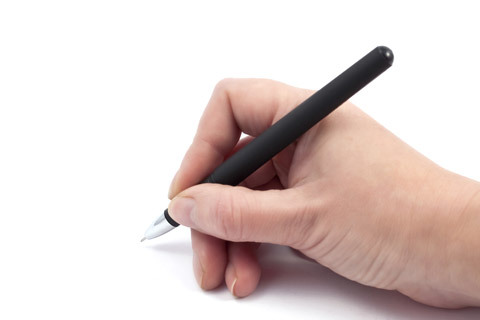 This mini-course is sponsored by Writing Help Central and Instant Home Writing Kit. The author, Shaun Fawcett, is a Canadian-born and based writer, consultant, journalist, and publisher who has worked in many professional capacities over the past 20+ years. The basic purpose of this 7-part course is to provide you with essential information on many of the key writing tasks that most people encounter in their day-to-day lives including: personal and business letters, resumes, cvs, reports, essays, and term papers.